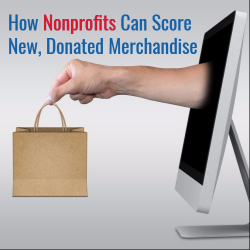 Imagine what your nonprofit could do with, say, $18,000 in brand new donated merchandise this year. Furthermore, imagine you could select just what you need from thousands of first quality items—year after year—to help your organization achieve its goals. It’s very doable, if you know the right resource. 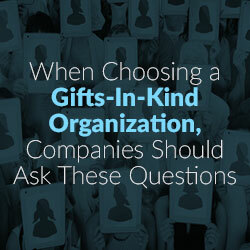 Gifts in kind organizations are one of the great secrets of the nonprofit world. If you haven’t heard of them, you owe it to yourself to learn more about them—specifically, America’s largest, oldest gifts in kind organization, NAEIR. NAEIR, the National Association for the Exchange of Industrial Resources, collects inventory from companies that donate to nonprofit organizations, then redistributes that inventory to its nonprofit members upon request. Every year, NAEIR gives away more than $100 million in spanking new merchandise. NAEIR’s free stuff for nonprofits include office supplies, arts and craft supplies, educational products, books, media, toys, party goods, cleaning supplies, sporting goods, software, and much more. That $18,000 we mentioned earlier? That’s the average value of free items received by NAEIR’s top-level members every year. Some members have actually received up to $40,000 in free resources in just one year. The more you request, the more you benefit. NAEIR has partnered with more than 8,000 donor companies to date, including leading brands like Microsoft, Stanley Tools, 3M, Rubbermaid, Rand McNally, Reebok, Gillette, Xerox, SC Johnson, and more. In return for their IRS charitable contributions of gifts in kind, these corporations receive significant tax deductions. In addition, it’s an easy way for them to clear overstocked merchandise out of their warehouses, while meeting their community-giving goals. Is Your Group Eligible to Join NAEIR? To qualify for a NAEIR membership, you must be affiliated with a 501(c) (3) nonprofit organization, school or church. Members include charities, community organizations, government institutions, health facilities and more. The first step is to complete an online application at NAEIR.org. Nonprofits pay a modest annual membership fee—ranging from $59-$595, depending on your chosen membership level—plus nominal shipping and/or handling fees for the merchandise they request. Members can view available supplies any time on NAEIR’s website and request what they need online. Premier Members also receive printed catalogs of merchandise throughout the year. The rules of how you may use donated stock are very straightforward. According to Internal Revenue Code section 170(e) (3), donated merchandise must be used for the care of the ill, needy or minors. It can’t be bartered, traded or sold, and must be given directly to qualifying individuals served by an organization or used in the organization’s administration. At the end of the day, belonging to a gifts-in-kind organization costs members a fraction of what it would cost to purchase the same supplies in stores or online. The Teacher’s Desk, a nonprofit in Buffalo, New York, exists to provide free books and school supplies to classrooms in impoverished schools. It was founded by John Mika, a retired autoworker turned teacher. On the first day of school, Mika was disturbed to find that only three of his students actually had pencils. So in addition to other gathering general school supplies, he launched an initiative, the Pencil Project. His goal: to donate one million pencils to students in need. Did he achieve his goal? Yes, with help from generous local corporations—and also from NAEIR, which provided thousands upon thousands of pencils. Maybe you don’t need pencils. But maybe you do need office supplies for your administrative office or clothing and housewares for your clientele. Or something else entirely. Whatever that is, you’ll undoubtedly find goods you can use at NAEIR. And it’s yours for the asking. When you’re dealing with products, making sure the donation process goes smoothly helps encourage companies to continue to donate. Did you make it easy for the donor to ship their products to you, did you accept and account for those products in a timely fashion, did you promptly send out promised tax letters recognizing the donation? All those questions have to have positive responses—not just for the first donation, but for every donation. In the donor’s eyes, you’re only as good as their last interaction with you. For potential donors, giving them the opportunity to get their feet wet can be all that’s needed to reel them in. If they have two truckloads of products to donate, but are unsure if they want to commit the entire inventory to an unfamiliar group, suggesting a “trial donation” can help. Have them donate a small quantity, maybe just a pallet full of their products. If that donation goes smoothly, follow up to see if they’re now comfortable making a larger donation. To stay on top of how your nonprofit is doing, consider sending out surveys to clients asking about how the entire process went for them. Make sure the survey is complete, yet not too lengthy. The longer the survey, the less likely you’ll be to get a response. Even so, don’t expect huge returns. Ten percent or so is probably typical. Make sure someone regularly reviews the surveys and addresses systemic problems or issues specific to certain donors. You can also use the surveys as a bit of good will. 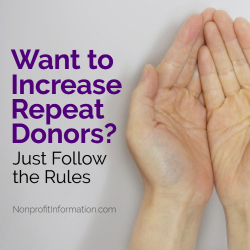 Ask your donors if they want to piggy back on your public relations efforts, offering them the chance to tout their own donations in your press releases and other promotional materials. Once a company has made a donation, it’s important to keep the lines of communication open. That means honoring how and how often a company wants to be contacted. Some companies want to communicate strictly by email. But if you have a choice, phone contact is the better option, with occasional in-person meetings to really help develop positive relationships. When soliciting donations, you have to walk a fine line between keeping your organization in a company’s thoughts and becoming a pest. So how often do you call? It’s best to set up those parameters up front. When you’re first looking for product donations, ask how often companies take inventory or look to move excess product out of their warehouses. Is it on a quarterly basis, every six months? Find out, and time calls around then, when they are more likely to have items to donate. If you make a call and a company has nothing to donate, then ask if you can call back in six months or some other set amount of time. If they say yes, then you already have a foot partway in the door. This is especially valuable with companies that have “gatekeepers.” When you are able to tell the gatekeeper that, “Joe asked me to call back,” you’re more likely to have your call go through. Keeping in touch by phone and building a personal relationship with someone can help you increase your network of donors. Maybe that person will put another department that isn’t under their purview in touch with you when they notice that department has excess product. Or maybe they’ll let you know when they’re moving to another company or being transferred, so you can keep your contact list up to date. In-person visits are invaluable. If you can, it’s best to avoid limiting yourself to meeting with just one person. When you’re setting up a visit, ask if there is anyone else in the company who might like to join you. That way, a meeting with one person can turn into a meeting with four or five. That not only leaves the door open to more donations, but it keeps you from having to start from square one if the one person you were dealing with leaves the company. Don’t assume that what a company values most is the tax benefits it receives. Many companies want to know where their donation went and how it was used. If you can provide that information, do so. 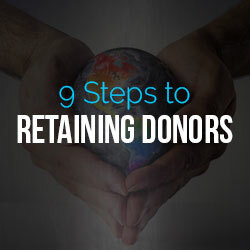 It could be the best step you take to turning one-time donors into repeat donors. Nonprofits play crucial roles in their communities. Whether they are schools, churches, health organizations, government agencies or a myriad of others, nonprofits offer services to help people in need or crisis and support families in a variety of ways. However, most nonprofits just don’t have enough resources to provide support to every vulnerable member of their communities. That’s why gifts-in-kind organizations are so valuable. After paying a small membership fee, they enable nonprofits to obtain free items that can support their charitable activities. 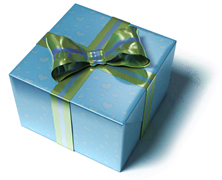 A gifts in kind program solicits donations of new merchandise from American corporations and redistributes that merchandise to nonprofits at no cost other than a small yearly membership fee and the cost of shipping/handling the items they select. Participants can include schools, social service agencies, housing authorities, police and fire departments and churches. In cases where a struggling family is in need of an intervention, a gifts in kind organization can provide crucial items like blankets, toiletries, and household supplies. Furthermore, it’s an affordable resource nonprofits can use for various activities and maintenance. Recently, a church received beautiful windows through the efforts of the program. This renovation would have been an expensive undertaking, but because they were members, the church was able to dedicate the funds that might have been spent on this costly purchase to supplement its own mission programs. In today’s economy, many families are experiencing desperate circumstances and must turn to nonprofits for assistance. This means the call for household goods and supplies is great. 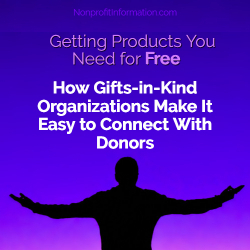 Thankfully, membership in a gifts-in-kind organization allows nonprofits to obtain top notch merchandise for free. Members can browse a huge catalog of donated merchandise and request what they want or need. 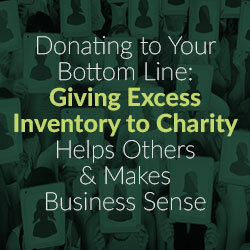 Companies like Microsoft, Stanley Tools, 3M, Rubbermaid, Rand McNally, Reebok, Gillette, Xerox, Hallmark and thousands of others make such contributions, supporting charitable causes while at the same time taking advantage of tax deductions, reducing storage costs, clearing warehouse space and avoiding hassles with liquidators. Items donated include office supplies, class materials, clothing and shoes, maintenance items, tools and hardware, toys and games, computer software, sporting goods, books, tapes, CDs, arts and crafts, personal care items, holiday and party items, janitorial supplies and more. Nonprofit groups usually pay a small fee to join and nominal shipping and handling charges to participate in the program, but the merchandise itself is free. The gifts-in-kind organization handles sorting, processing, cataloging and redistribution of the merchandise. Organizations that participate are required to use the merchandise in accordance with IRC section 170(e) (3). This states that the merchandise must be used for the care of the ill, needy or minors and cannot be bartered, traded or sold. The merchandise can be given directly to the qualifying individuals served by an organization or used in the administration of the organization. For more information, non profits can call 1-800-562-0955 or visit NAEIR’s website at www.naeir.org.